Is your Marketing a Blessing or a Curse? I propose that 21st-century marketing offers the greatest potential ever yet is the worst managed marketing in history. People have become so focused on technology and it’s capabilities they have forgotten why they’re undertaking marketing in the first place. That is until they have wasted a lot of time and money for little return. It’s fascinating to talk to business people who have reached this point. At this level of awareness, most are looking at the modern marketing landscape and thinking… What the Hell! Is it generating maximum revenue? What do I need to do or change to address identified issues? 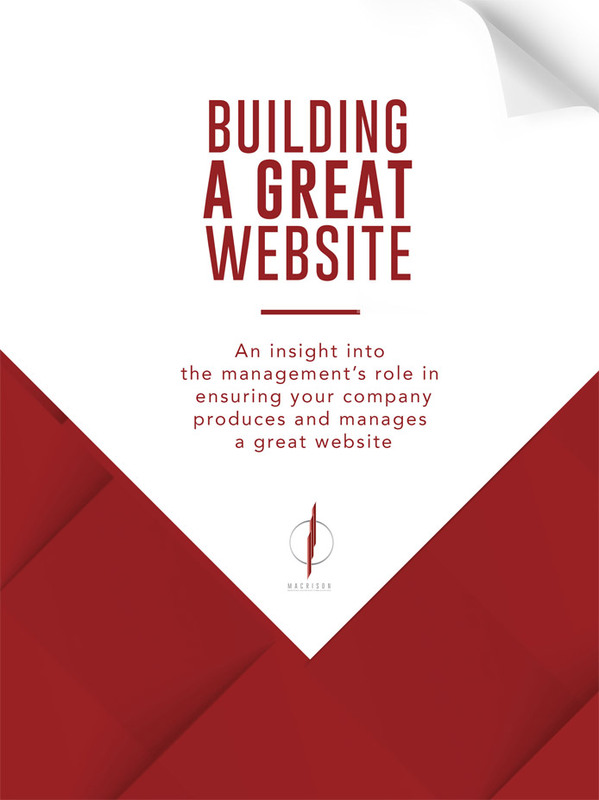 Until you have studied, answered and put genuine context around these questions as they relate to you and your business, you can’t undertake successful marketing. 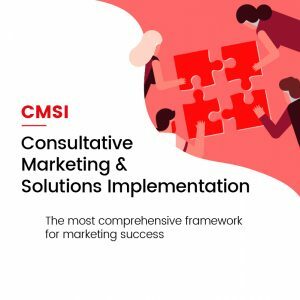 When you have studied, answered and put context around these questions it becomes absolutely clear that Consultative Marketing and Solutions Implementation (CMSI) is the only way to marketing success. 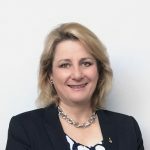 I Joan MacDougal, after 10 years in senior corporate roles and spending millions of dollars in marketing reached the ‘What the Hell’ awareness level! After years of study and practical implementation of strategies and plans, I opted out. I knew there was a better way and so I developed it myself. I call it CMSI and my company Macrison has been providing CMSI services since its inception more than 20 years ago. In my view, CMSI is the only way to provide any marketing service responsibly, professionally, based on results and offering full accountability. I propose that all businesses adopt the CMSI framework. Whether they implement the practice in-house or employ a service provider the premise of CMSI is that every customer’s problems will be unique and every solution will be too. Finding a specialist CMSI service provider will be a challenge. At the blue-chip level, many traditional consulting companies are buying advertising agencies. It’s my opinion that these companies have realized one of the main limitations of the services they offer is the client’s ability to implement their recommended solutions. It makes sense, then, to bring the solutions implementing functions in-house and provide those services to their clients as well. If you’re a smaller business without the luxury of being able to afford the blue-chip consulting companies then your options are fewer. That’s OK. If you understand the principles of CMSI, then use them to research marketing service providers. For example, ask a marketing service provider or agency their position on the four fundamental questions of marketing as detailed above. Seek out their views on the fundamental principles of CMSI as explained above. Their answers to these questions will tell you a lot about the business acumen and marketing skills of a potential service provider. What might CMSI look like for you? You can expect that CMSI will provide new insights and planning on what is on and over the horizon for your business. It will look at all your operations to make sure they are all working in unison to maximise the customer experience whether they are new or existing clients. Clients are revenue and we need to make sure that every touch point between your business and your customer is complementing revenue generation. CMSI will make sure you have an eye on the long term vision while and whenever you’re applying short term tactics. CMSI may determine new technology requirements or refinement in your use of existing technologies. It may suggest becoming a disruptor or it may highlight how to avoid being disrupted. CMSI will build an implement appropriate communications plans, plans that are line with goals and required outcomes. It will use the platforms that will have the most impact on achieving goals. CMSI will help you keep everyone and everything you’re doing focused on the game your playing. It won’t allow false or fake marketing to draw you into their game. The single most important thing CMSI is doing is changing the balance in marketing. The power is shifting back to the business requirement. It’s no longer about the latest fad in technology and whether you should be there because everybody else seems to be. This is the mindset that corrupts the wonder that technology brings to marketing. It’s what has technologists driving marketing strategy instead of the other way around. That’s why there is so much confusion and waste in modern marketing. Wasted time, wasted resources and for what? CMSI works on this simple, structured and orderly premise. What are the issues affecting your revenue generation and how do we fix them. Forget the jargon, the fads, the misinformation and the noise. CMSI identifies your problems and finds the right solutions for you. Everybody is talking about growth marketing. Just what is growth marketing? It’s nothing without a solid framework and processes. Every business wants growth and marketing is the tool to generate that growth. Achieving growth is a consultative process that requires discipline and focus. Every business will face different issues and will need unique and individual solutions to meet their growth goals. I encourage you to implement the CMSI framework and watch the impact it has on your business growth.